Who Invented Bubblegum? - Who Invented? / FEATURES / Who Invented Bubblegum? Walter Diemer – Bubblegum was invented by Walter Diemer in Philadelphia in 1928. He never applied for a patent for the product.The ancient Greek’s actually utilised the first form of chewing gum when they chewed the resin from mastic trees. 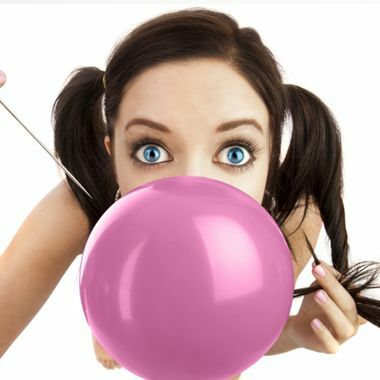 The first bubble gum is said to have been invented by Frank Fleer and Peter Meijer of Fleer Chewing Gum Company in Philadelphia in 1906. It was called Blibber-Blubber but this gum turned out to be too sticky. They were trying to invent a new type of gum to compete successfully in the very crowded and existing chewing gum market which had been dominated by the well-known brand name Wrigley’s for a long time. It wasn’t until 1928 that the first genuine bubble gum was invented by Mr. Walter E Diemer who was actually an accountant working at the Fleer Chewing Gum Company. He was experimenting with gum ingredients and in doing so stumbled upon a new type of gum which was less sticky and more flexible than chewing gum. It was coloured pink because he added that colour food colouring to it as this was the only colour the factory had available. The President of the Fleer Company, Gilbert Mustin, named it Double-Bubble due to its’ flexible and stretchy composition and because it enabled the consumer to blow ‘bubbles’. Diemer tested his new product at a local store where it sold out fast. This was the turning point when the Fleer Company realised they had finally created a new type of gum and they started manufacturing and marketing it immediately. Double-Bubble remained the only brand of bubble gum on the market until the entrance of Bazooka bubble gum after World War II. There are now many manufactures of bubble gum and it can be purchased in a variety of colours and flavours. wow, really very good information. everyone in their daily life they use many things but they don’t know when who and where it is invented. once again really good information.